Cisco 1941 builds on the best-in-class offering of the existing Cisco 1841 Integrated Services Routers by offering 2 models - Cisco 1941 and Cisco 1941W. 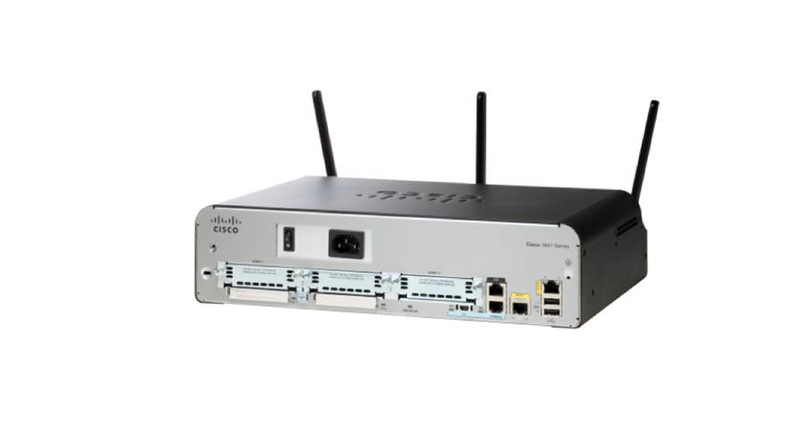 In addition to the support of a wide range of wireless and wired connectivity options supported on Cisco 1941 Series, Cisco 1941W offers integration of IEEE 802.11n access point which is backwards compatible with IEEE 802.11a/b/g access points. All Cisco 1900 Series Integrated Services Routers offer embedded hardware encryption acceleration, optional firewall, intrusion prevention, and application services. In addition, the platforms support the industries widest range of wired and wireless connectivity options such as T1/E1, xDSL, 3G, 4G LTE, and GE.